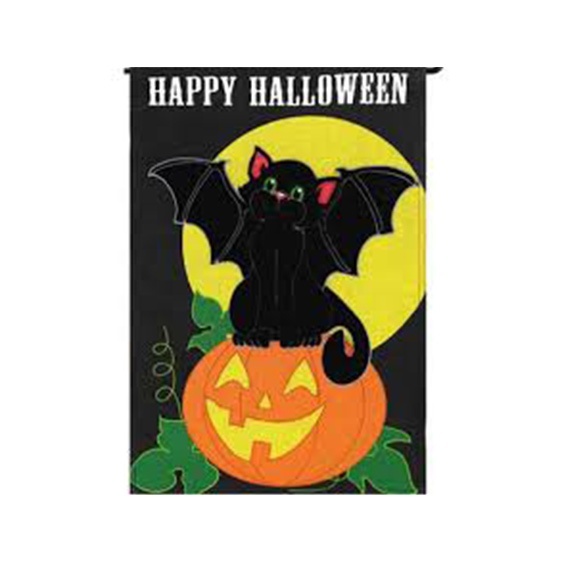 Who can resist this cute ghost for Halloween. 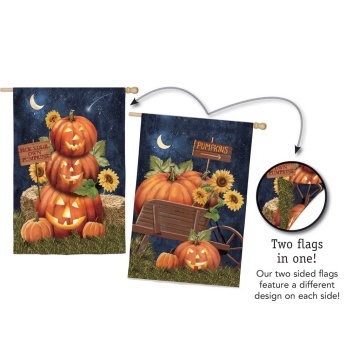 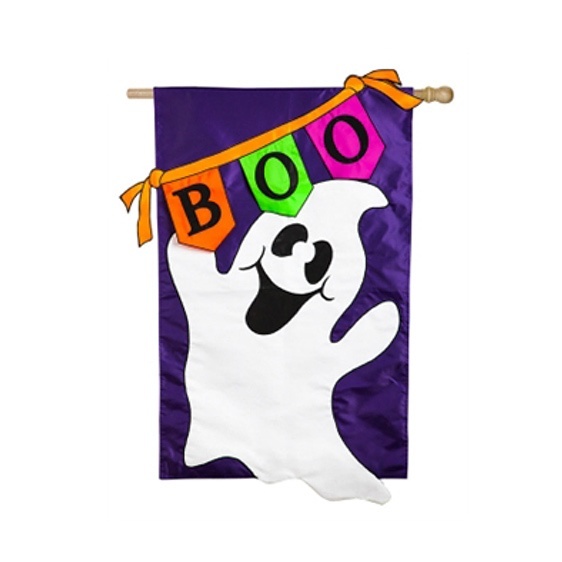 This Evergreen Flag applique flag features a classic purple design with a friendly white ghost and a colorful banner with the word ” Boo” on it. 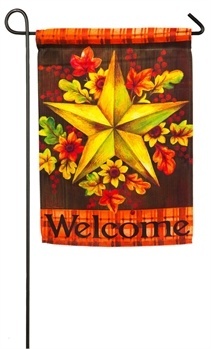 Made with a sun blocking material this flag will resist excessive fading.